What is a press fit? 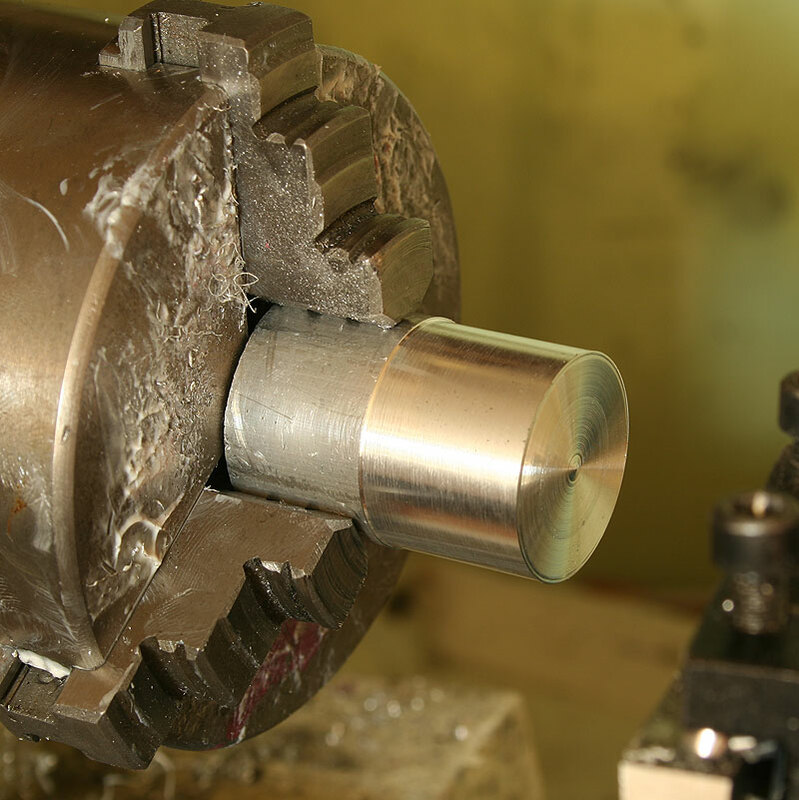 If you have a tube with an inner diameter of 1.000 inches and a round bar with an outer diameter of about 0.995 inches, then the tube will slide quite happily over the round bar. 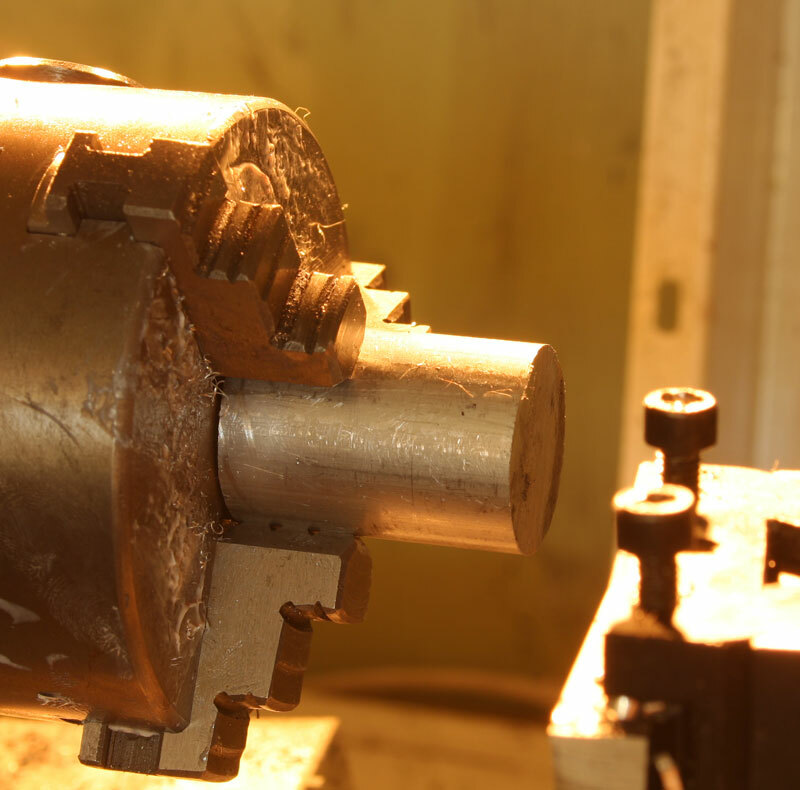 However, if the hole and the bar are very close in size, it is possible to press one part inside the other, with a press or vice or jack, so that pure friction holds them together. They are unlikely to be separated without the aid of a significantly stronger press. Engineering textbooks will tell you at great length the formulas required to calculate the exact size of hole and bar diameter required to get a good press fit. 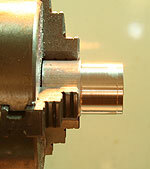 Press fits are usually called interference fits in such books. The difference between "too tight to make the fit" and "falling apart" is only a thousandth of an inch or two. I don't own any engineering books, and I also don't have a terribly expensive set of measuring equipment for measuring inner diameters. 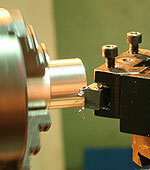 Accurate inner diameter measurement is notoriously difficult, especially in the home metalworking workshop. I find it is much easier to avoid such exacting methods, and try approach the problem slightly more empirically. 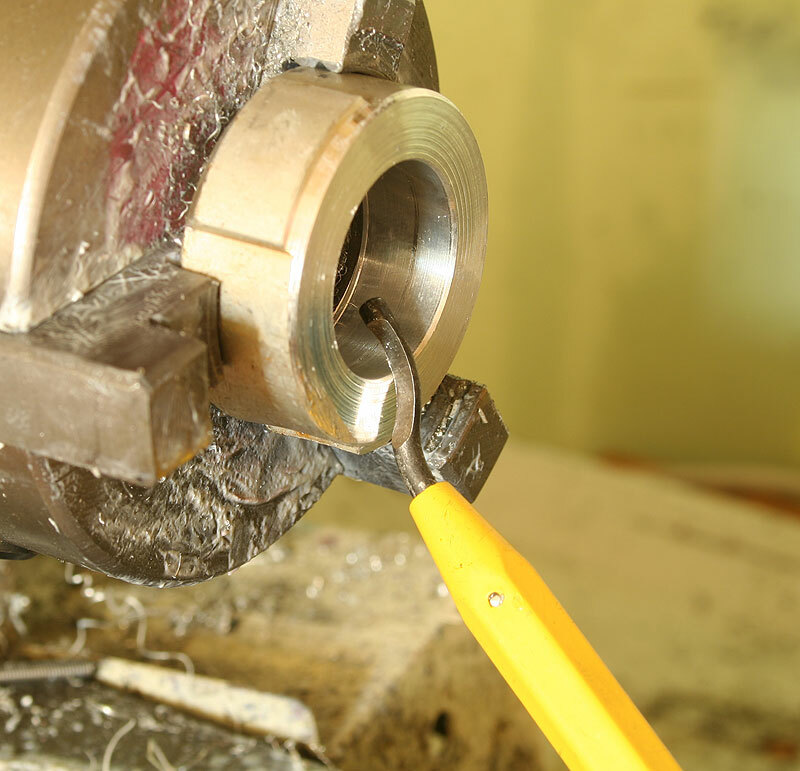 If you set about measuring your inner diameter with typical home metalworking workshop telescoping bore gauges or vernier calipers and then carefully calculate the correct size of bar to fit into the hole, and finally turn the bar down to that size, the chances are, it won't work. 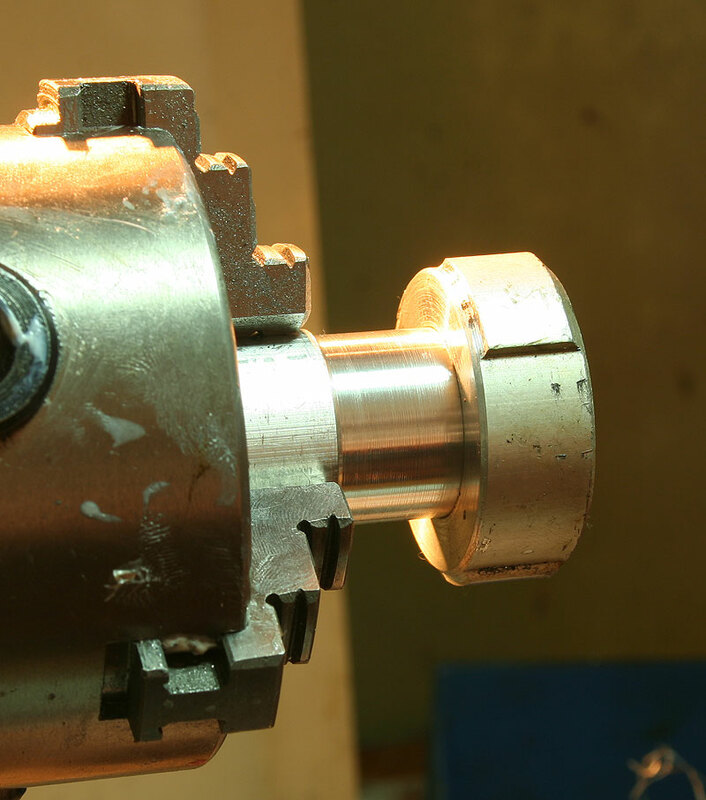 The error inherent in the mini-lathe and your measuring devices will result in failure. I don't feel confident with that approach... so here is what I do. 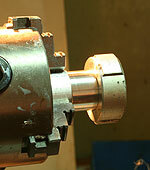 First of all, we chuck up our "tube" and machine the hole. I don't care what size I'm making the hole - I'm going to make the bar fit the hole - not a hole for fitting a known bar - that comes later! Once the hole is nice and smooth we make sure the end into which we will insert the turned bar is nicely de burred and given a chamfer - as this is aluminium this is easily done with a simple de-burring tool. 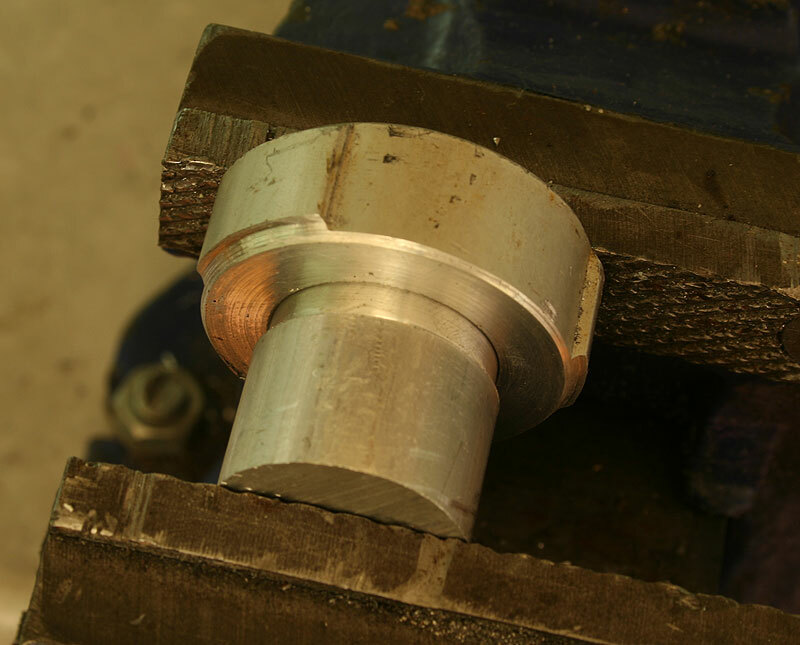 Now we chuck up a bit of 1 inch outer diameter round bar - the object of the exercise is to make the round bar press into the hole we just made using the force of a typical bench vice. First of all we take a measurement of the hole - let us say it is 0.925 inch inner diameter. We turn down our blank bar to a good 0.5mm or so oversize - it will not fit into the hole yet. We give the end a very heavy chamfer - I have a little spot ground into the end of my turning tool for just this purpose. Now we turn down a step - about 3 or 4 mm long on the end of the bar. The idea is to turn this down to a radius which JUST slips into the target hole. A combination of measuring and guesswork and slowly increasing the cut will get you there. Eventually the target hole will slip over the end of the round bar! It will not slip any further. 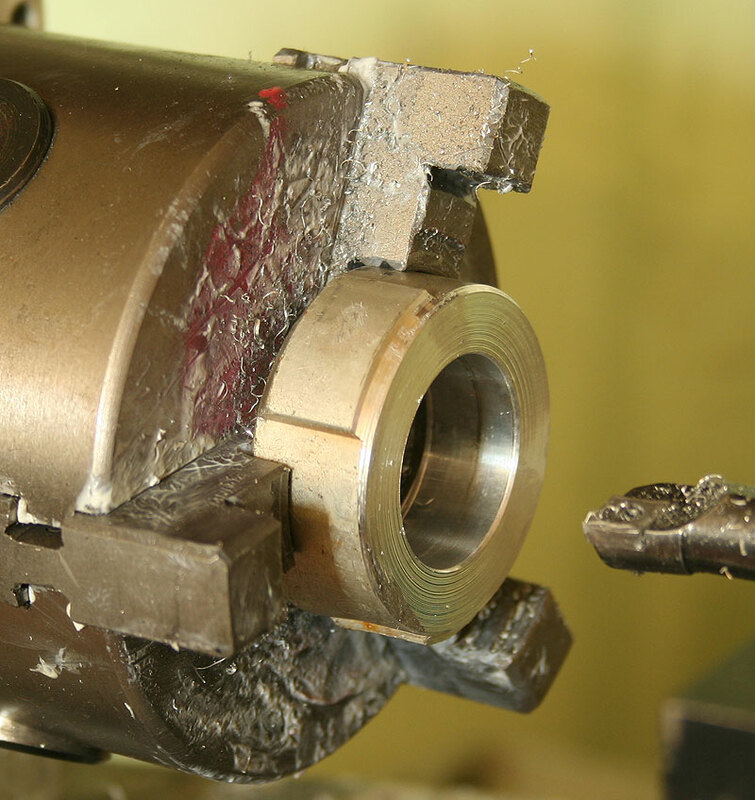 Now is the time to get your best micrometer out and measure the outer diameter of the section of the bar which the hole slips into. Measure it several times. Let us say it is 0.918 inches. Now turn down the rest of the bar to an outer diameter which is about 2 thousands bigger than this - i.e. 0.920. Forget now the original measurement of the hole - it is going to be wrong because you can't measure the inner diameter that well. If you turn down the outer diameter of the bar so it is just a couple of thou bigger than the step section, then you'll get the right size. If you are feeling paranoid, just make another step and 0.920 - if that doesn't slip into the hole then you are ok. If this step does slip into the hole, then make the main bar a smidgen wider. It is all just empirical work - and a couple of practice runs and you'll see what I mean. If you're not an experienced machinist and don't do this sort of thing all the time, I find this approach can be extremely instructive and teach you a lot of making press fits and interference fits on a mini-lathe in the home workshop.